Dr. James Galyon has been stirring up hornets' nests over the issue of regeneration. The Seeking Disciple asks, "Was Calvin more biblical than Calvinists?" John Heuglin, speaking as an Arminian-leaning Pentecostal, "cannot come to the conclusion that we should not call [Calvinists] our brothers and sisters in Christ or deem them as apostates or false teachers." That's certainly more gracious than some. John Calvin: Love him or hate him, you can't ignore him. Steve Hays wonders whether or not Arminius was as complicit in the execution of Servetus as Calvin is accused of being. Thanks for the plug for my post at my blog but actually I didn't write the piece on whether Calvin was more biblical than Calvinists. Its from another blog that I simply link to. I think your readers will realize that if they visit my site. Have a great Lord's Day! BTW, love your site even if we don't always agree. Just to let you know, I have started a blog that is introducing folks to a more "Evangelically" shaped and informed version of Calvinism (in its historic form). This is my first time to your site, and I just wanted to let you know that I think you're doing a great job. The only thing that I don't agree with is the constant references to John Calvin. 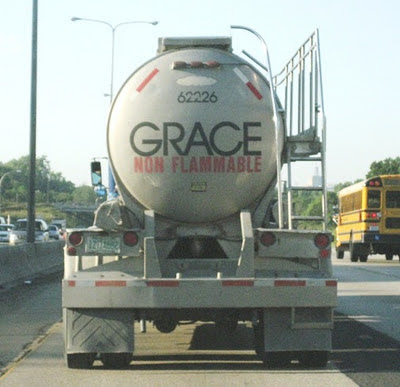 I believe in the doctrines of grace as much as anyone, but I never mention Calvin. He baptized babies and persecuted people who believed like us. I'm assuming you're an independent baptist.